Polish your look with a simple necklace that can be worn solo or paired with your favorite pendant. 14k gold chain features a popcorn link. 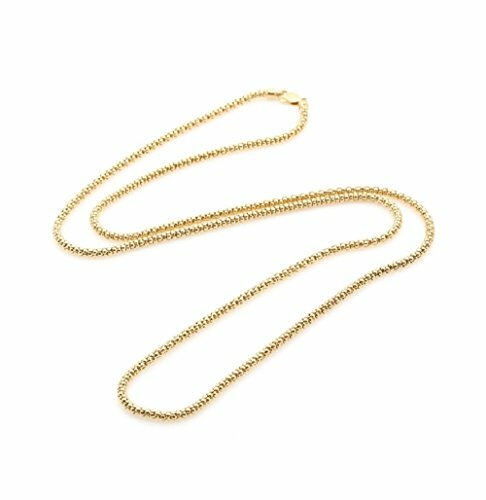 Also known as coreana this chain is very popular and trendy, a piece that will add to your look and can be worn every day. 14K gold has an high value and will not tarnish or change color.